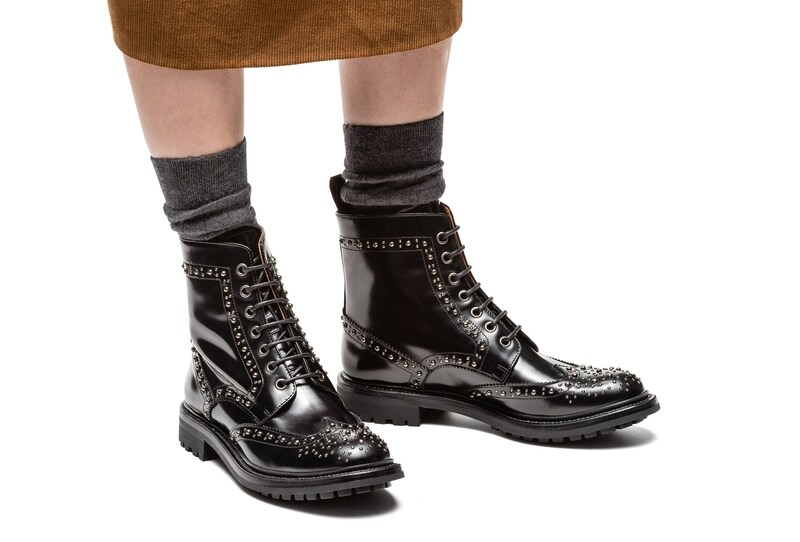 The Angelina Met 2 lace-up boot presents a modern, rugged silhouette and even more impressive detailing. 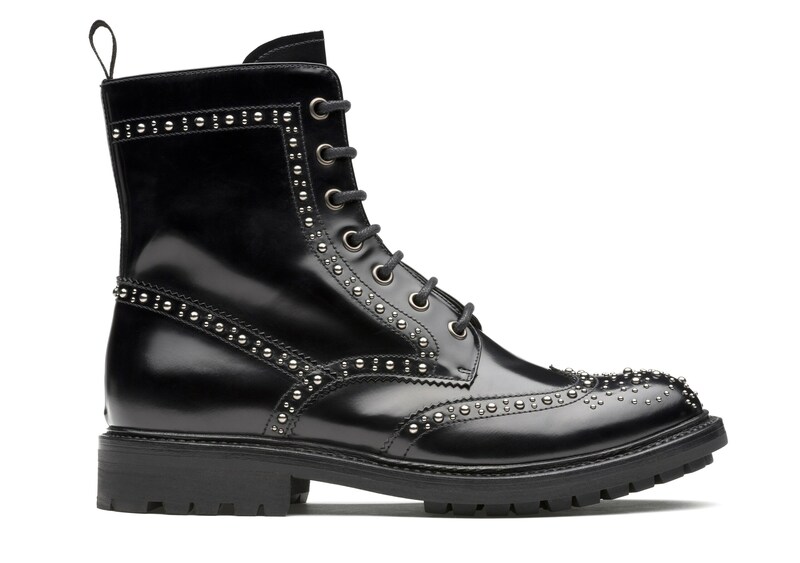 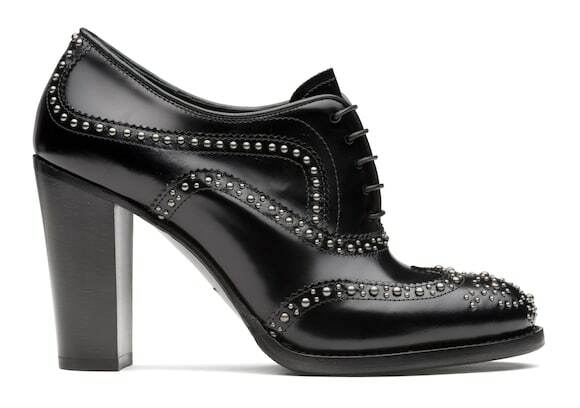 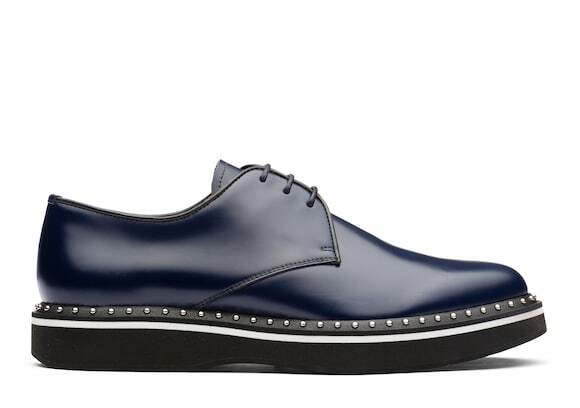 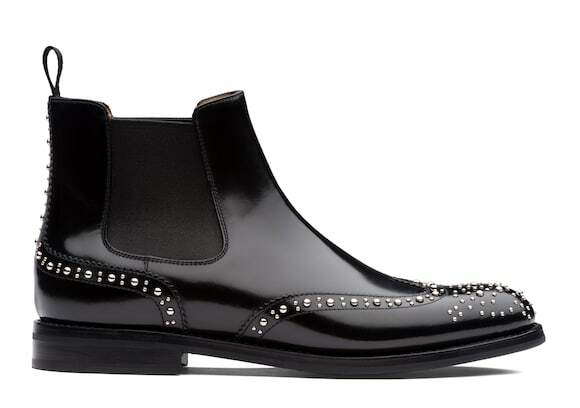 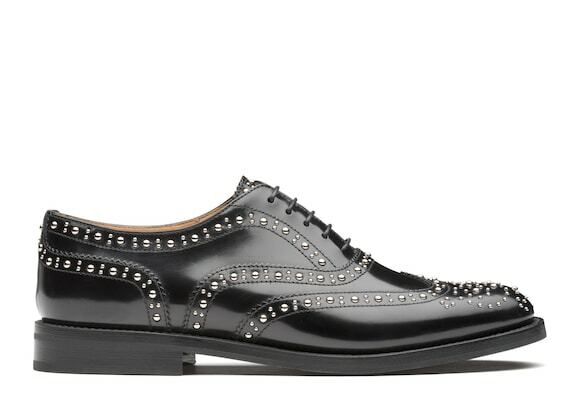 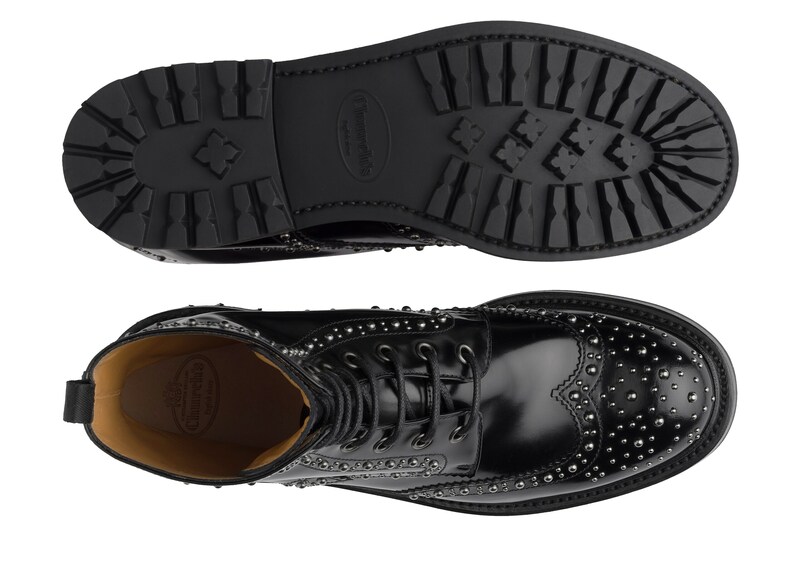 Swapping its traditional brogue perforations for polished metal studs, it takes on a rebellious attitude. 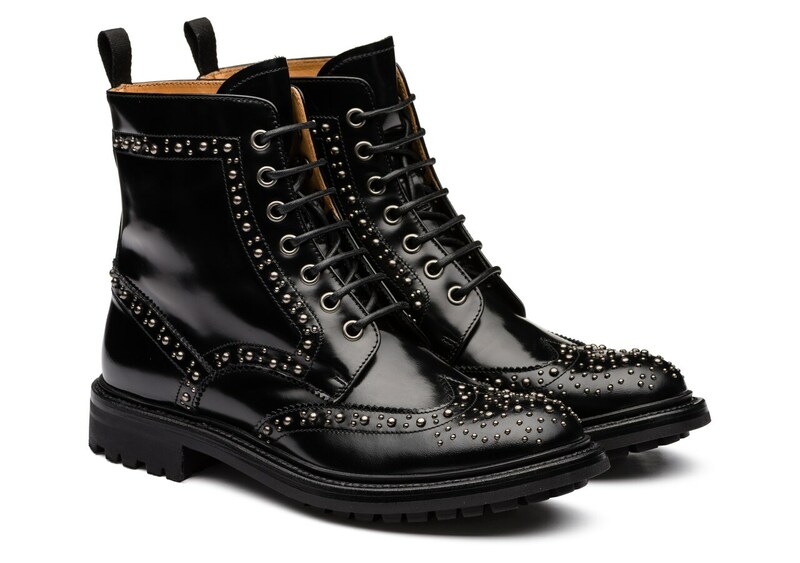 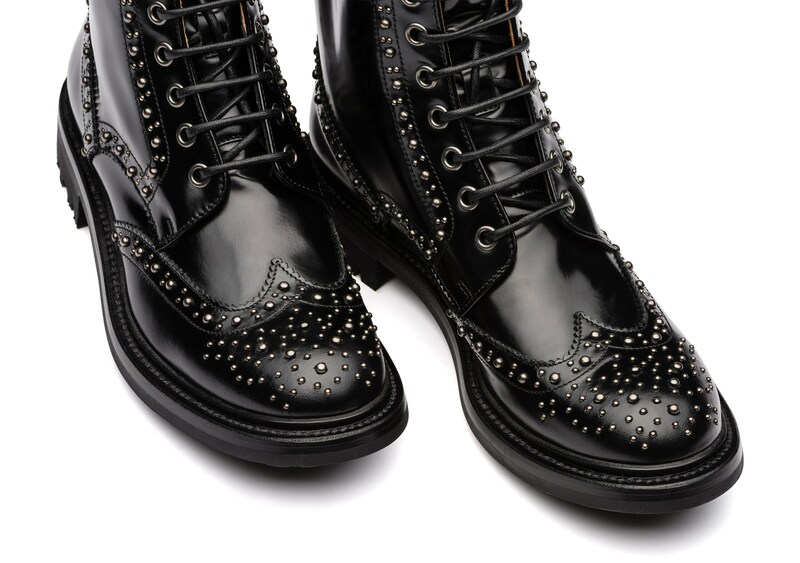 Its chunky sole and metal eyelets add to its defiant demeanour, echoing military cues with their practical look. 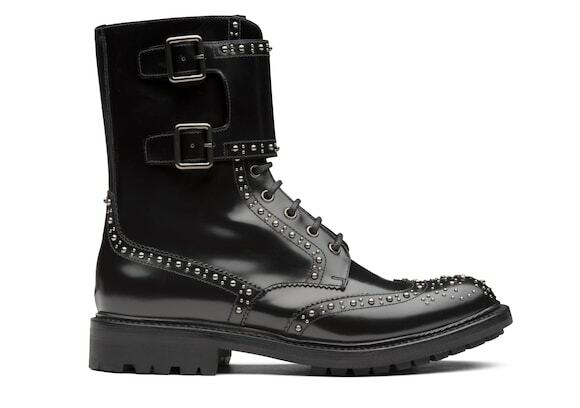 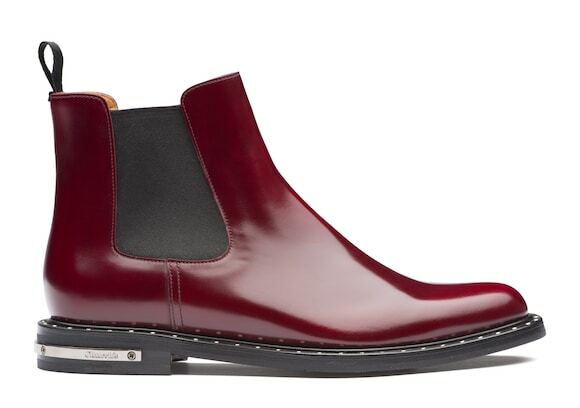 Go as leisurely as you like, this boot looks great with t-shirts, relaxed knits and jeans. 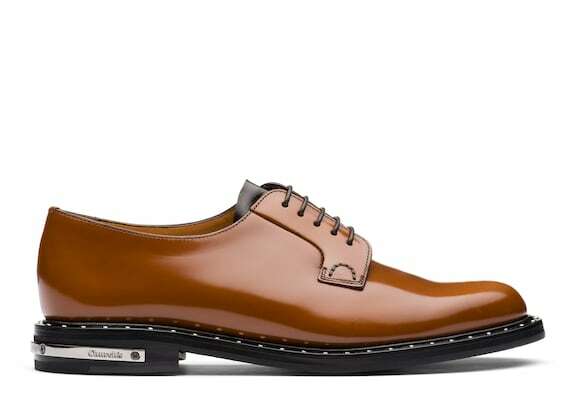 Finished with Church’s polished fumè treatment, for a glossy effect.